Our tour was a day of contrasts and divisions, barriers and walls—and inspiration and hope. It allowed us to see both the past, through the ruins of a Palestinian village, and the present, through a refugee camp in Jerusalem. We saw how the Israeli-built security wall cuts through sidewalks and streets in Bethlehem, interrupting a city and reminding its people that they are, essentially, caged. And we were given hope: hope of a family whose farm has been threatened with confiscation by the Israeli government for 26 years, but who still answers with words and actions of peace and love. 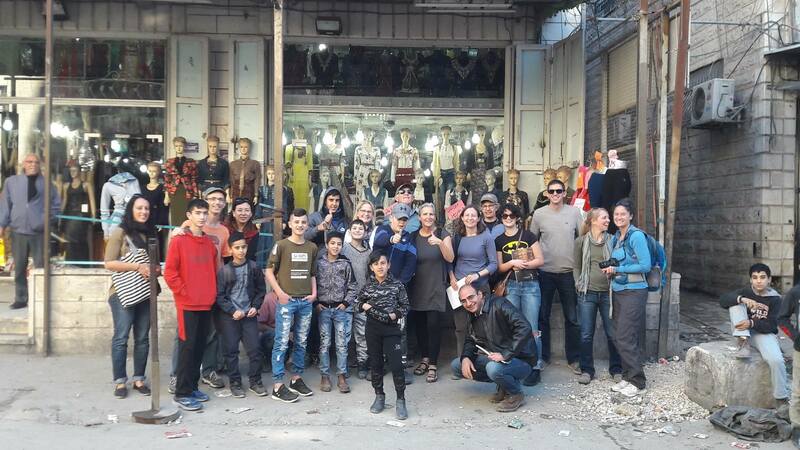 Sabeel’s tour showed us the reality of Palestinian lives. It was informative and inspiring and heartbreaking and infuriating and powerful—one of the most important days of my life. And it leaves me today with the challenge of how to use this new knowledge and understanding to do some good in this world.